Having fresh homemade Queso Dip and tortilla chips are a tradition in my household, and we make it frequently. I wanted to come up with a healthier version of Queso, so that meant nixing the processed cheese products, and using fresh, real ingredients instead. If you have made a roux before, or any gravy, this process is very similar to that. It’s easy to throw together, and you know exactly what you’re eating. This recipe is basic, but flavorful. You can add cooked ground beef or Homemade Sausage for a heartier dip, or diced olives and mushrooms for a larger variety of vegetables. Making homemade Queso Dip gives you the flexibility to add specific flavors to customize it to your own palate. Melt butter over medium heat in a large pan. Add diced onion and jalapenos and sauté for 5 minutes, until translucent. Add tomatoes and garlic, and continue to sauté for another minute. Sprinkle flour onto vegetable mixture, and mix together with a whisk. Slowly add milk, stirring constantly after each addition, until all milk has been incorporated and most lumps are gone. Slowly add in cheese, 1 cup at a time, mixing and allowing to melt before adding more cheese. Once all cheese is melted, add sour cream and stir. Add salt and pepper to taste. Serve along side chips or cut up vegetables. You can use this with my delicious Queso Chicken dinner recipe. Need more appetizers to make? 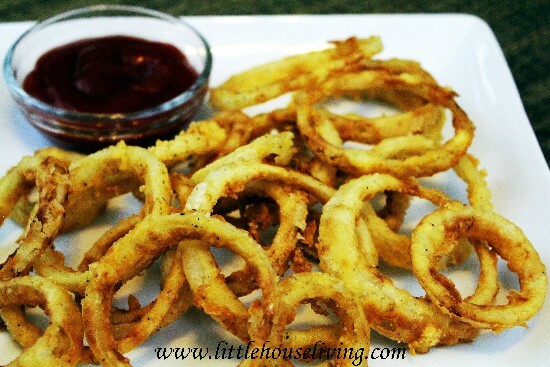 How about Homemade Egg Rolls or Homemade Onion Rings? Or you can check out our big list of From Scratch Appetizers! You might also enjoy this White Cheese Dip recipe! What is your favorite appetizer? 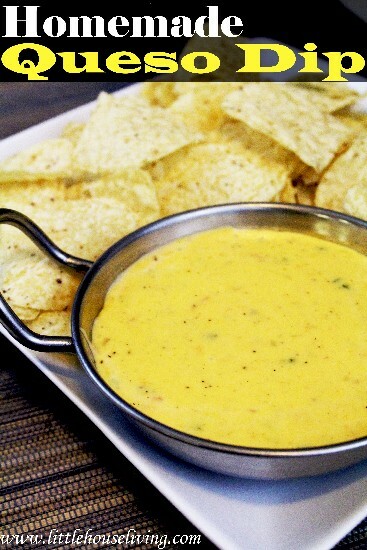 Have you ever made Homemade Queso Dip? Do you have any foods that you always make this time of year? Wondering what the yield is on this. And does it reheat with out breaking? Does it freeze and reheat or would that break? I haven’t experimented with freezing and reheating things made with a roux. 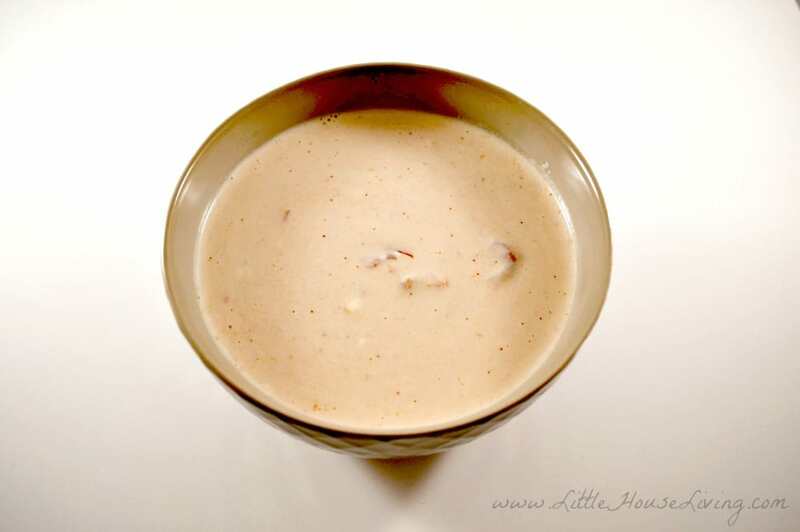 This makes about 4 cups of queso cooked, which serves around 8-10 people as an appetizer. I haven’t tried freezing it, but I am not sure how well it would do once reheated… I would think it would separate, and not work well. This recipe can be easily cut in half or quarters, if you want to make a smaller serving. Thank you SO much for this recipe!! My 12yo daughter (and I!) love queso dip, but I hate buying it anymore because of all the nasty things in it. Every once in a while, I break down and buy it for her…it will be so nice to make this instead, on those times when we’re wanting this treat! I hope you and your daughter enjoy it, Maralee! We love Queso and your recipe look great! Thank you so much for sharing with Full Plate Thursday and hope you have a great weekend! This looks delicious and not too complicated! We love queso around here, and we don’t usually make it at home because I can never get it right! Can’t wait to try this! Oh yummy. Queso is a must have at any football party around here, it’s always the first thing gone. 🙂 What is it about football and queso? Hehe. 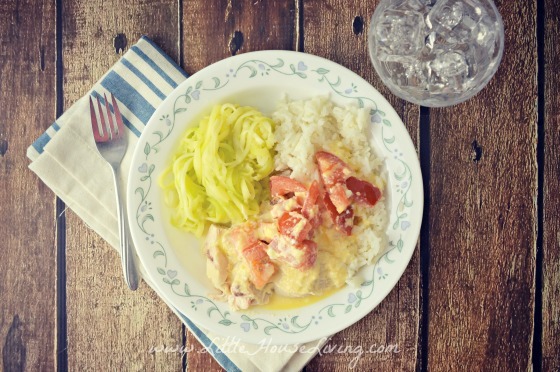 Thanks for sharing the recipe and linking it up to Thrifty Thursday. This queso looks amazing! I love that you didn’t use the processed stuff! I have featured this from our All Things Thursday Blog Hop last week and pinned it to my ATTBH Features board on Pinterest. I hope you’ll be by again tonight to link up more goodies! Hey! Love this post! Just wanted you to know that you’re being featured at the Pin It Party on mysnippetsofinspiration.com tonight! Have a good night! Hi. I was wondering if you have ever used non dairy milk in this? We do not buy cows milk but we love Queso! I haven’t ever cooked with non-dairy milk, so I am not sure how it would work. If the consistency is the same as regular milk, I would think it would work fine. Maybe try quartering or halfing the recipe to try it out, to see if it works well. Let us know, if you try it! Looks yummy! I am allergic to tomato…what would be a good substitute? Still trying to figure out substitutions. Maybe red pepper, or roasted red pepper. I just made this it was delish. I made it and it tasted great but the cheese is stringy and some seems watery, any ideas? I want to make this today for a party tomorrow. Does anyone know if itwill reheat ok and hold in a crockpot? We all love queso dip in my house so I am going to try this! My son requested this for lunch tomorrow, so I’m glad I happened across this recipe. We’ll be giving it a try and bringing it in a Thermos! Hi! I made this and it didn’t turn out 🙁 It is almost like a small curd and runny. I am not sure where I went wrong? The only thing I did different was use almond milk. Any idea why? I am thinking of making another roux to thicken…I’ll keep you updated. On the upside the flavor is amazing! ! I am sorry to hear the queso was runny! Are you using pre-shredded cheese? If so, that could be the culprit for the curdling. I used block cheese and shredded it myself for this recipe. It is also important to let each addition of cheese melt completely, before adding more. Any cheese sauce like this is a little temperamental and can seize up, kind of like gravy can, if cooked on too high of heat. I don’t think the almond milk would cause you any trouble, although I haven’t personally tried it. If you end up trying a new roux, let me know how it goes. I am glad the flavor turned out good! I’ve always wanted to make queso but kept forgetting to look for a recipe. This looks so easy. Thanks 🙂 Plus it would make a great topping for some tortillas I plan on making. Loved this. I haven’t had queso in over a year when I gave up processed crud due to migraines. I used a 16oz pepper jack cheese…just cubed it up and threw it in there in 3 portions. I also added a mixture of cumin, chili powder and onion powder. I also just used pico de gallo instead of onion, peppers and tomatoes. It made lots! I will have to freeze for my next nacho night. I am from San Antonio and we eat tons of queso! This looks like an excellent recipe. thanks for sharing with the Thursday Blog Hop! Thanks for sharing on Turn it up Tuesday. I love queso, so the idea of making it natural and healthy is great! I’m looking forward to trying this. Thanks for sharing this recipe at Craft Frenzy Friday at Mom Home Guide! My family loves queso! This looks great! Do you think Greek yogurt would work well as a replacement for the sour cream? I haven’t tried it that way but I would think it would be worth a shot. Let us know how it is! This looks delicious and I like that its all natural. Thank you for this homemade recipe! So much better than what you get from a jar! 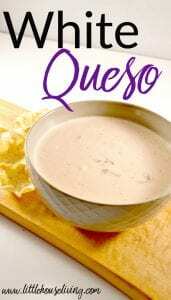 We love queso here and so I am so happy to have a homemade recipe for it. Thanks for sharing it!